Sivakasi, the settlement which is renowned for its innumerable firecrackers, safety matches and printing industries is basically an ancient town that the history of the town is almost 600 years old. The town is fundamentally a significant Hindu pilgrimage center located in the Virudhunagar district of the southern state of Tamil Nadu. 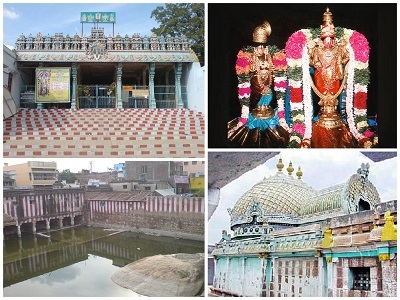 Sivakasi is the home of a lot of illustrious religious sites which include Sri Badrakaliamman Temple, CSI Regland Memorial Church, Kasi Viswanatha Swamy Temple, Arulmighu Venkatachalapathy Perumal Thirukovil and so on. 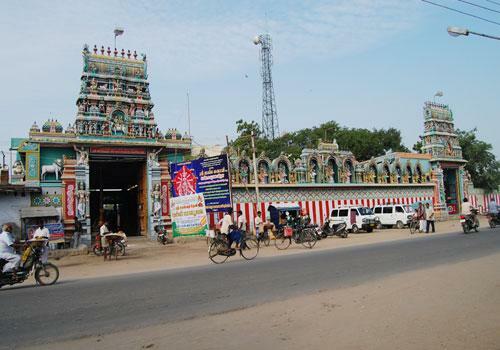 Though the town reminds travelers only about the religious sites, Sivakasi is located in a region where it connects the holidaymakers to many other celebrated places of interest situated in close proximity to the town. Some of the important places of interest nearby Sivakasi include Thiruthangal Nindra Nindra Narayana Perumal Temple, Sattur, Vembakottai Dam, Srivilliputhur, Shenbaga Thoppu Grizelled Squirrel Sanctuary and so on. Once a constitutional division of Sivakasi town, Thiruthangal is now a municipality located in the district of Virudhunagar. Located just 6.1 km away from the city center of Sivakasi, Thiruthangal, also spelled as Thiruthankaal is long-familiar for its historic Nindra Narayana Perumal Kovil which attracts devotees from all over the world. The main deity of this temple is Lord Vishnu who appears to be in standing position (nindra thirukkolam) and the highlight of this temple is the Garudalwar sannidhi where the Garudalwar is seen together with his foe Aadhiseshan. It is important to note that Nindra Narayana Perumal Kovil in Thiruthangal is the forty eighth abode of Lord Vishnu among the 108 Divya desams (108 Vishnu temples that are named by the Tamil Azhvars. Sattur, formerly called as Sathanur is an important cultural center of Virudhunagar district located in the southern state of Tamil Nadu. Situated just 19 km from the city center of the cracker town of Sivakasi, Saturn is weak known for its Sathurappan Kovil or simply Ayyanar Koil (Ayyanar - a Tamil small town god, principally adored as a protector god who protects the rural settlements). The town of Sattur is primarily looked as an offbeat tourist destination as the town houses a lot of lesser-known religious sites that attract the local population from all over the district. Some of the important tourist attractions of Saturn include far-famed goddess Irukaangudi lallu temple, the famous mosque believed to be constructed by Akbar the Great, a dam built across Vaipar and Arjuna rivers, Vishnu temple, and Shiva temple and so on. Vembakottai Reservoir is a famous tourist attraction that is located in the Virudhunagar District on the branches of Vaippar River of southern state of Tamil Nadu. Vembakottai Reservoir is not just a dam that supplies water to the town of Sivakasi but an ideal spot for a family picnic. The dam features an exquisitely designed garden and a lot of other fun options for the visitors like boating facilities and so on. The Vembakottai dam boasts picturesque surroundings and a day-long visit to this place is sure to offer energizing and fun filled time with the visitors. 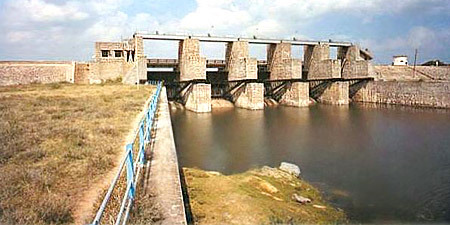 It is important to note that the Vembakottai Reservoir holds its water system from the seven tributaries of Vaippar River that starts from the hills adjoining the southern state of Kerala and goes through Theni and Virudhunagar district prior to getting into the Gulf of Mannar. Situated just 22 kilometers away from the city center of Sivakasi, Srivilliputhur, also spelled as Thiruvilliputhoor is a municipality and an important semi urban center in Virudhunagar district. The name Srivilliputhur reminds of the celebrated Andal temple to many as the city is a significant spiritual center of Hindus in the region. Srivilliputhur Andaltemple is popularly referred as Arulmigu nachiyar (Andal) thirukoil by the local population is one among the 108 Divya desams. 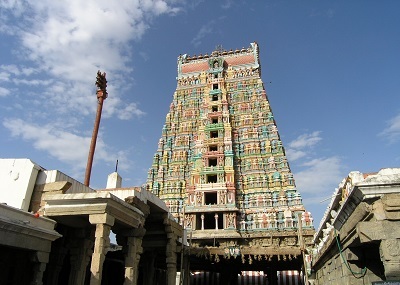 Furthermore, Srivilliputhur is the place of birth of two of the most significant Tamil saints Andal and Periyazhvar. The Andal temple features a majestic temple tower (rajagopuram) that is used in the Tamil Nadu government's official emblem/seal. The most prominent landmark to the region, the whopping 193.5 feet tall temple tower proudly stands as an ideal representation of the age-old Dravidian architecture. 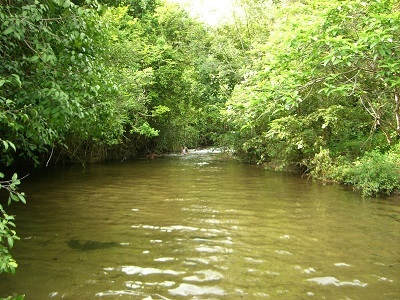 Shenbaga Thoppu is basically a woodland situated just 22.5 km away from the city center of the cracker town of Sivakasi. The Shenbaga Thoppu woodland is found on the eastern inclines of the Western Ghats. A lot of uncommon and indigenous assortments of plant life and animals are witnessed. A far-famed wildlife sanctuary that spreads over 190 sq mi was founded during the year 1989 at the exact location of Shenbaga Thoppu forest. The wildlife sanctuary lies mostly in the administrative boundaries of Virudhunagar district, particularly in Srivilliputtur and partially in Madurai zone. The Grizelled Squirrel Sanctuary is bordered in the east by Rajapalayam and Srivilliputhur, west by Theni, north by the Andipatti hills and in the south of Tirunelveli district. It is the eastern edge for the Periyar river water parting. The wildlife sanctuary is a region of Tropical and subtropical moist broadleaf forests, East Deccan dry evergreen forests, South Western Ghats moist deciduous forests and Grasslands. The wildlife sanctuary houses a lot of animate beings that are in imminent danger of extinction, which include Grizzled Giant Squirrel Ratufa Macrora, Asian Elephants, Nilgiri langur, Bonnet Monkey, Nilgiri Thar, Tiger, Spotted Deer, Leopard, Wild Boar, Porcupine, Common Langur, Sloth Bear, Gaur, Barking Deer, Flying Squirrel and so on. 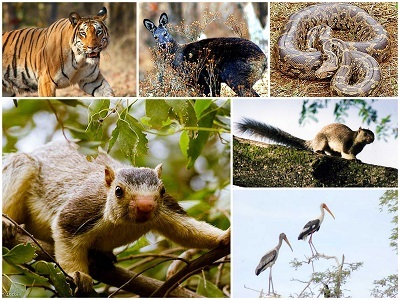 Best Time to Visit: The Srivilliputhur Grizzled Squirel Wildlife Sanctuary could be explored throughout the year. Koilar and Pilavakkal are the two dams that are located along the foothills of the sanctuary, which are the finest places to catch waterbirds and other wildlife. Ayyanar falls; a renowned picnic spot is located in the urban center of Rajapalayam, just 35.3 km away from the commercial town of Sivakasi. Ayyanar falls are located in the Western Ghats, which fetches its water primarily during the retreating monsoon rain. Ayyanar falls is one among the most popular tourist attractions of the city of Rajapalayam, and is a notable picnic spot that serves to the eastern part of Virudhunagar District, particularly for Sivakasi and Srivilliputtur. Furthermore, the falls offer a lot of opportunities for forest mountaineering and other interesting things to do options. The fall got its name from the small forest Ayyanar temple located alongside the falls.